As someone who creates YouTube videos about being autistic, there is an aspect of the Autism discussion that I want to address in this blog – functioning labels. This was something that did not used to bother me, but I now see that labelling someone in this way can be hurtful and devalidating. The use of functioning labels to describe an autistic's ability to function has been used for many years and are still used today. Functioning labels are predominantly used by non-autistic people to describe an autistic's ability to function in society, typically labelling them as either "high-functioning" or "low-functioning". I am not "high-functioning" or "low-functioning": I am simply being. To me, it is hurtful to label someone as “low-functioning” because traditionally autistics who are given this label are non-verbal (unable to communicate verbally). This label dismisses the voice that these people have and their abilities do not get recognised. Just because someone is unable to speak through conventional methods, it does not mean that they have nothing to say. 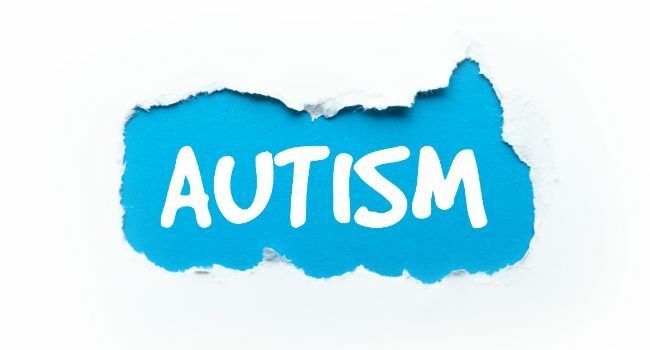 Through technological advances, more and more autistics are able to use communication aids which speak the things that they put into the system. Other non-verbal autistics may use sign language or Makaton to communicate. The label of "high-functioning” Autism - which I am often assigned - is also harmful. Because of being labelled as "high-functioning", some of the challenges I face are not taken seriously, with whether I am truly struggling being called into question. The label is misleading because it implies that "high-functioning" autistics can function better than “low-functioning” autistics - this is not the case. “High-Functioning” autistics might be able to manage everyday tasks with little difficulty but struggle with sensory processing. With these autistics, their needs might not be recognised, potentially hindering them later in life if they do not receive appropriate support early on. I used to think that both labels fell on either end of a line that represents the Autistic Spectrum. However, as I have grown my understanding of autism, I believe that this conception of it is too black and white. This reduction of autistics to one label or the other fails to take our differing abilities into consideration. It does not recognise that our state of being is subject to fluctuation; there will be days or week where we are on top of the world - other times, we hit rock bottom. As a society we like to assign labels to people and things in order to help us process the world around us. But when it comes to autistics, I do not believe that these "high/low-functioning" labels are in any way helpful. See more: What does the Independent Review of the Mental Health Act mean for autistic people? So, you might be wondering: “instead of functioning labels, what could I use when speaking or supporting autistic people?”. Well, you could simply say the person's abilities and the things that they may need support with in a concise way. Applying this to myself, I would say “I am able to communicate verbally and I can do most things with little to no support. I may need help when it comes to crowds or loud places, as well as more time to process my surroundings.” That gives you a very brief idea of what my abilities are and the areas in which I might need assistance. It also does not have the expectation of never needing any support that the "high-functioning" label suggests. Ultimately, all autistics have different areas in which we thrive as well as times we need more support. I am not "high-functioning" or "low-functioning": I am simply being. Andy is a 26-year-year-old YouTuber who uses his own experience and knowledge to create autism-related content. His YouTube channel is IndieAndy.